CAEL: Why is having a Workforce Strategy as a part of a regional Economic Development strategy critical for Northeast Florida in general and the JAXUSA Partnership specifically? 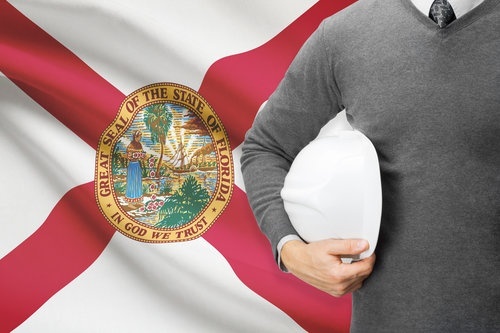 Wirth: In northeast Florida, like much of the nation, we are facing a low unemployment rate, which means that we are hard-pressed to create the quality of the workforce that employers demand if they are considering our market for expansion. For JAXUSA in particular, it means that we need to be able to demonstrate an understanding that a quality workforce is a key priority now and into the future. Having workforce development embedded into economic development strategy is one tangible way to show current and prospect employers in the market that we understand that it’s the number one driver. CAEL: You’ve been leading strategic efforts related to talent and workforce development since the last strategic plan. What have been some of your biggest success in this work? Wirth: When we did our first strategic plan with CAEL, Innovate Northeast Florida, we had limited programmatic partnerships with our higher education institutions. We were heavily engaged with some K-12 programs and then we would pick up with colleges at the end of the pipeline, when students were graduating. But we were not in the space in the hand-off between the two, and that weakness was identified. So, we created a collaborative initiative called EarnUp, which was based around higher learning for higher learning. This brought together key players in K-12, higher ed, philanthropy and business leaders to address the fact that if we had higher 2- and 4-year degree completion rates we would attract more prospects to market. In the course of that convening, which began a year after our strategic plan, we had seen an uptick by 2.5 percent, in terms of our workforce going from 36 percent holding a 2- or 4-year degree to 38.5 percent, which represents 10,000 new degrees in market. The second big success we’ve seen has been in our storytelling about what was working in market. We really made an effort to reach out to employers who were engaging in workforce development, either within their own organizations or with a K-12 or college partner, and we worked to elevate those stories. We used newsletters, blog postings—even a podcast that we started, all to help bring them to prominence so that other employers could see a good model and replicate it. This has definitely created employer interest—the interest by educators is always there to try to engage employers, but I think employers need examples of what is working before they’re willing to step up across the aisle. CAEL: What advice do you have for other regions looking into implementing a similar strategy? Wirth: The transparency to internal stakeholders is important. The need to think differently about a really rapidly evolving set of demands on workforce is also really important. It’s at this point almost cliché to say that we’re trying to prepare workers for jobs that don’t exist, and yet the cliché stands because it’s true. So while all of our communities largely have data sets we can access that says what happened in the past that tries to model the future, we need strategic planning like this and the expertise of an organization like CAEL to help us understand the arc of what’s to come, but not necessarily through the lens of what was. That’s the part that real people on the ground who have been to other markets, who are hearing the collective voice of employers, bring to our work. In particular industries, in particular communities, you may only have one or two large representatives for an industry. Yet CAEL is out there hearing in different markets the voices of many employers in similar industries, and so is able to weave together a more forward-thinking narrative than any one community can.